Andorra is landlocked and can be reached either from France or from Spain. I think the distance is about the same from Toulouse and Barcelona (the nearest cities with an airport). We had settled on a trip to Spain and therefore took the bus from Barcelona Sants (you can also go directly from the airport as well). 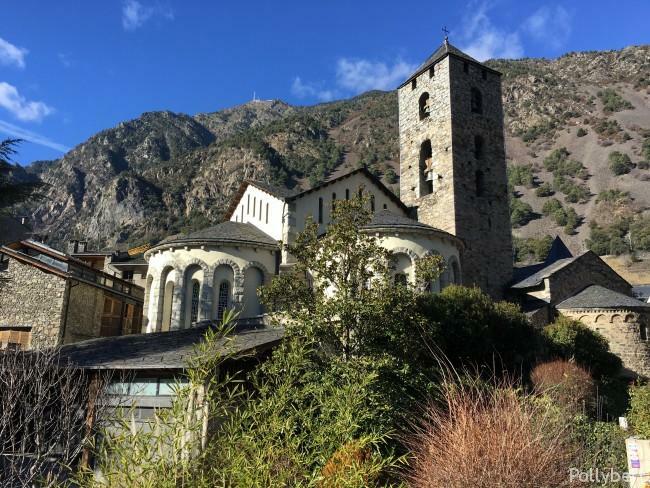 Andorra is one of six European microstates and with my visit to it I have managed to see them all now (just in case you are interested). 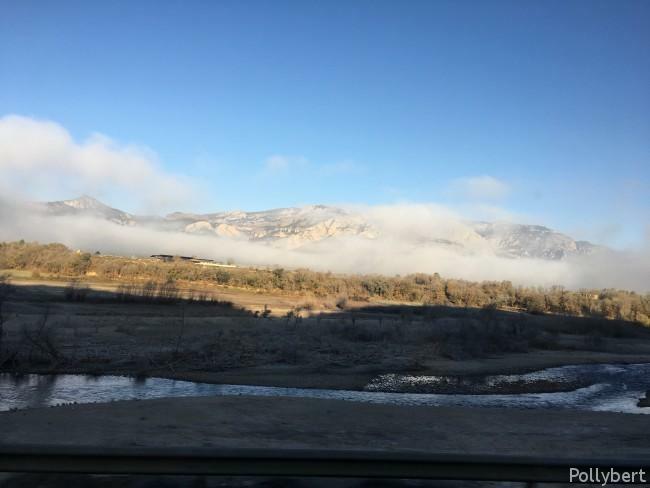 We left with the early bus at 8:15 and despite the blue sky there was a lot of fog on the way. 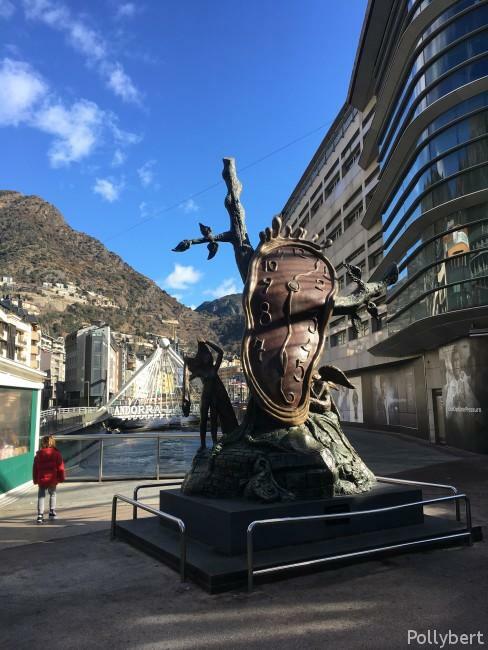 Andorra la Vella is the highest European capital with a bit more than 1000m above sea level. Despite a miserable weather forecast we had sun and gorgeous weather all weekend long. The only thing the app got right was the low temperatures. It’s nice in the sun but freezing the moment you were in the shade. 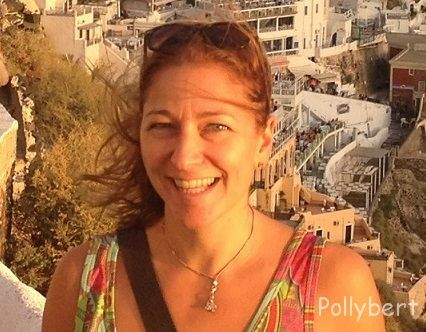 So what is there to do in Andorra? I wondered about this myself, especially since we hadn’t planned to go skiing. Because this is something for which Andorra is famous. The other thing you can do is shopping. 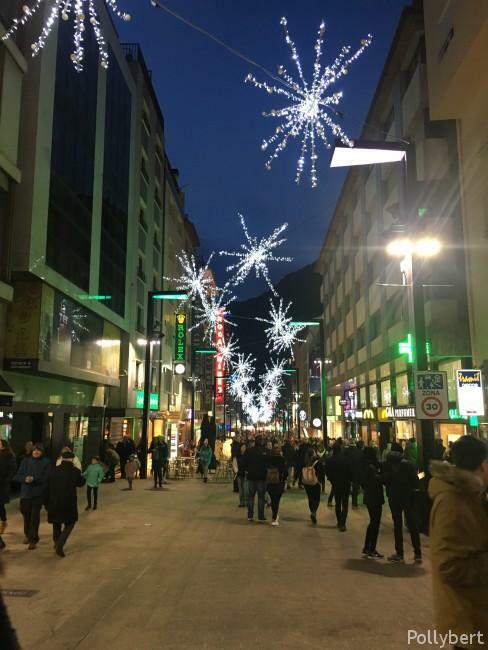 Andorra la Vella is one big shopping mall. Prices are better due to low taxes. So if you care for shopping, this is your heaven. If you are more into historical stuff you are out of luck. There’s nothing much. 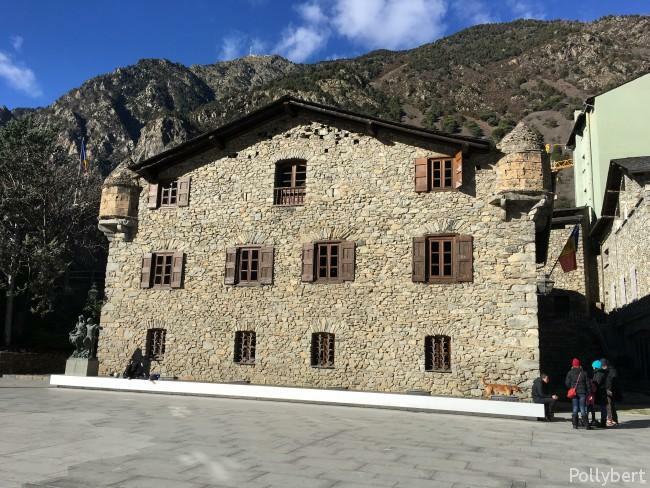 We managed a guided tour of the Casa de la Vall, a historical house and former seat of the government of Andorra. The house is from the late 16th century and built-in the usual Andorran style. Almost next door is the beautiful church of St. Stephen. Unfortunately it has inconvenient opening times, but it looked good enough from the outside. That was basically it with the sightseeing in Andorra. If you have time and money, plan a visit to the Caldea. 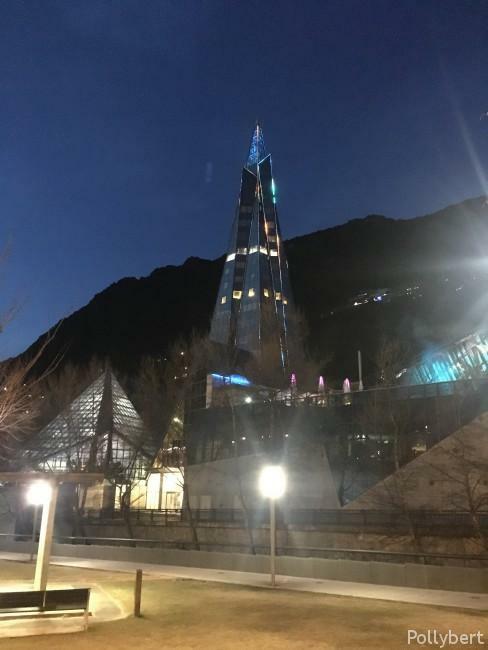 It is the tallest building in Andorra and also the largest spa in Europe. We didn’t make it inside since the later afternoon slot was already booked and the available slot from 9-12pm was too late for us. Nothing wears you out so much as shopping. It’s probably a great alternative program to skiing if you have time. What I liked best though was the Salvador Dali sculpture which stands next to the river. This is a real piece of art and I love that it’s shown to everyone for free. Andorra, Barcelona, Europe, long weekend, sightseeing, Spain, travel, traveling Europe, traveling with friends, weekend trip. Bookmark. Very true. I still think the snow was behind the peaks we saw. There were a couple of people in skiing dress. They must have done so somewhere close by.